Fall in love with this contemporary cape home nestled in a great neighborhood right off route 7. The sun streams through this home thanks to its vaulted ceilings, skylights, and big beautiful windows. Hardwood floors sprawl through the living, dining and family room before meeting the well laid out kitchen with pantry, breakfast bar and granite counters. The gorgeous gas fireplaces in the living room, family room, and the master bedroom are just waiting for you to cozy up with a good book. The second floor master also offers a two-person jetted tub, walk-in closet, and balcony overlooking your landscaped back yard. On this floor are 2 more spacious bedrooms and a full bath with linen closet. Travel downstairs and in the partially finished basement is the perfect “man cave” or office, and space for an exercise room or studio! Walk-up access to your 2 car attached garage makes things easy. 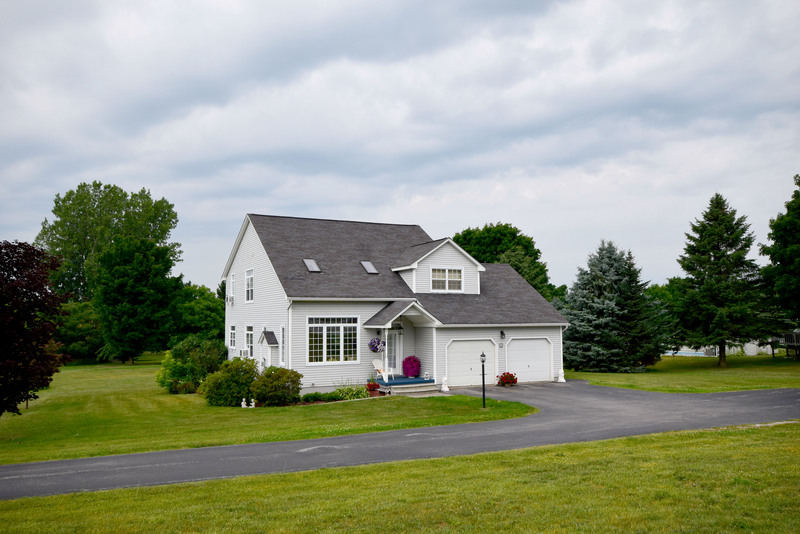 All on a well maintained 1.7 acre lot and just minutes from Champlain Country Club and I-89!